HOTEL Unlike our previous Disney trips where we definitely splurged, we had to be as budget friendly as possible this time around which meant we couldn't stay in a Disney hotel. Andrew is a big fan of Hotwire so we used Hotwire to book all of our hotels in California. Because we had a car, we were able to travel easily to the store from our hotel to stock up on food and we used public transportation to get to and from the park. The shuttle was surprisingly very convenient and we never encountered a problem. RESOURCES I'm a huge planner when it comes to vacations. 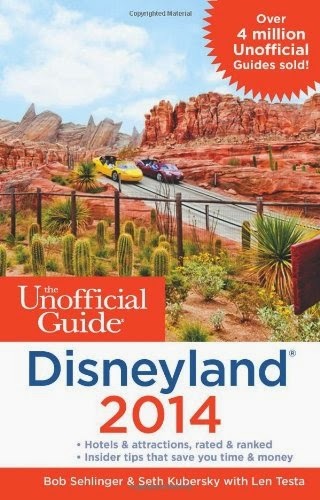 For this trip, I used the Unofficial Guide to Disneyland 2014 to help plan the trip while their Touring Plans app served as our must-have travel aide. If you are going to Disney, I HIGHLY recommend getting a subscription to their app so you can get up-to-date info on wait times. Using this app, we were able to minimize wait and walk time while still getting in lots of rides. Another site that I also found helpful was the Disney Tourist Blog which has lots of reviews, tips, and amazing photos. TICKETS We ended up getting 3-day passes without the park hopper option to save some money. Even though the park hopper option is great, we knew it was a luxury we could live without since we were planning to be in Disneyland for 2 days and Disney's California Adventure for 1 day. We purchased our tickets through the Mousesavers link where we always get our Disney tickets. 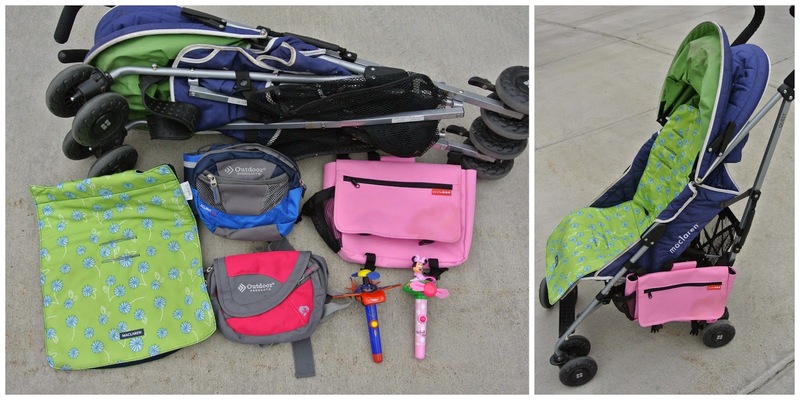 Umbrella stroller - Lightweight and easily folded for the shuttle. We love our Maclaren Quest. Reversible seat liner - Obviously not a necessity, but Isabelle preferred to use this. Hip packs - Bought for hiking, these Walmart packs were perfect for the park. They don't need to be taken off on most rides and were convenient to store snacks, sunscreen, hand sanitizer, etc. Stroller saddle bag - This is made by Skip Hop and it looks like it's discontinued now, but it basically attaches to the side of the stroller. It's easily accessible so storing items that you need to get to easily is ideal since the stroller storage can be hard to get to. We used this for snacks and drinks. Battery operated fans - We went to a Disney store outlet beforehand and stocked up on souvenirs including these fans. The kids loved them because it helped keep them cool in the hot weather. Reusable bag (not pictured) - Having an extra bag to store all the items in the basket under the stroller was necessary so we could easily get things in/out for when we had to fold the stroller for the shuttle rides. 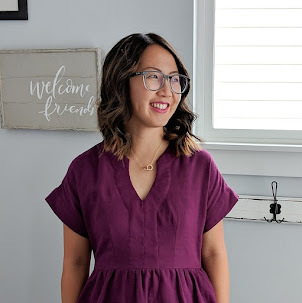 DRESSING THE PART The best part of planning any vacation for me is getting to do the fun stuff like planning outfits. 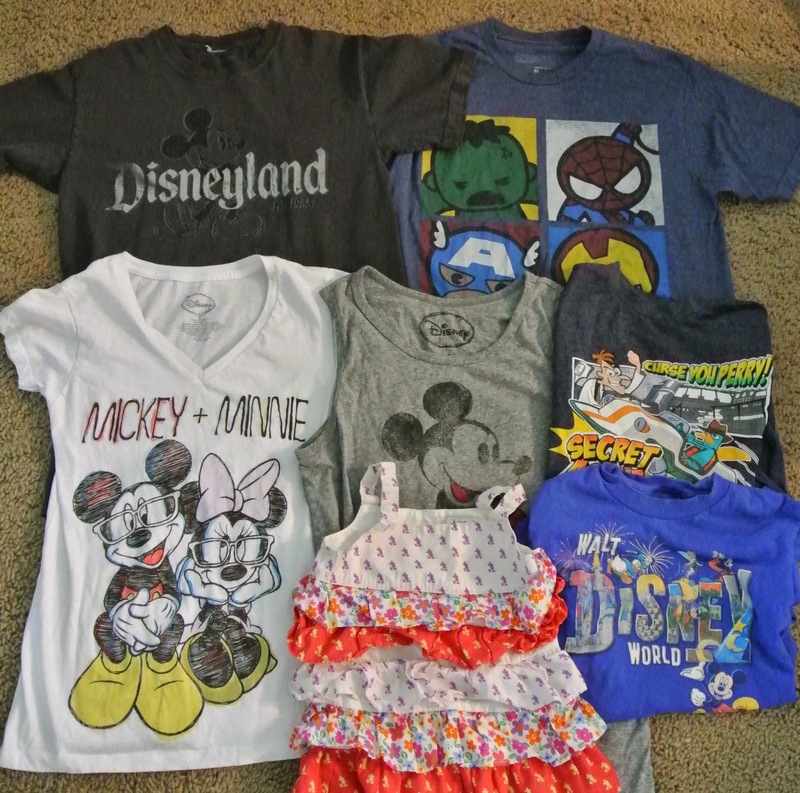 Since we are big Disney fans, it wasn't too hard for us to find Disney shirts to wear each day. 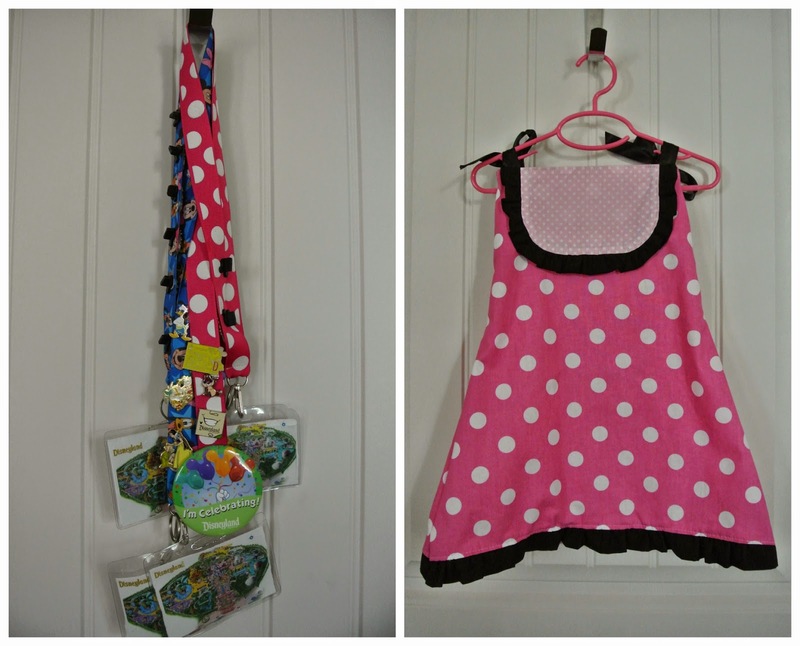 In addition to the lanyards I made for pin trading (tutorial here), I also made Isabelle a dress to wear (tutorial here). OVERALL Even though we planned this trip to be as inexpensive as reasonably possible, we absolutely loved the hotel we stayed in. We took advantage of the free breakfasts each day before heading to the park and we liked having our car so we could go to the store for any essentials. Even though the park was a shuttle away instead of a walk, we didn't feel like we were super far away. I did feel like we weren't as immersed as we would have been in a Disney hotel, but the magic that we lost there was most likely attributed to the fact that we were all sick during our stay. (Being sick while at Disneyland is never magical.) In the end, we definitely had less gear to take with us than in previous trips, but we didn't feel like we were missing anything.